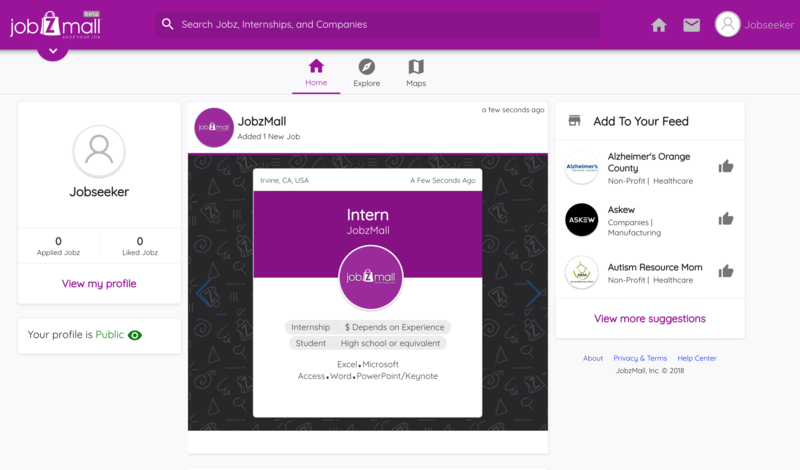 Jobseeker Home, delivers a real-time feed with updates from every company you follow, all in one place. From recent videos to job openings, Home takes you beyond the virtual mall, enabling a real connection, instantly. Click the "Home" icon on the top right corner of the page and start scrolling.